Black PVC Dog Kennel - 36inch x 24inch. These Pvc Dog Kennels are unique to any other on the market as the external of the kennel is pvc cladding yet the kennels are WBP plylined internally for the most comfort & warmth for your pet during the winter months.Unlike conventional timber dog houses which have a much shorter lifespan, our unique pvc dog houses will last your pet much longer. They are fully weather resistant, maintenance free and are easily cleaned. Kennels are delivered fully assembled. Black PVC Dog Kennel - 24inch x 18 inch. These Pvc Dog Kennels are unique to any other on the market as the external of the kennel is pvc cladding yet the kennels are WBP plylined internally for the most comfort & warmth for your pet during the winter months.Unlike conventional timber dog houses which have a much shorter lifespan, our unique pvc dog houses will last your pet much longer. They are fully weather resistant, maintenance free and are easily cleaned. Kennels are delivered fully assembled. Black PVC Dog Kennel - 36inch x 36inch. 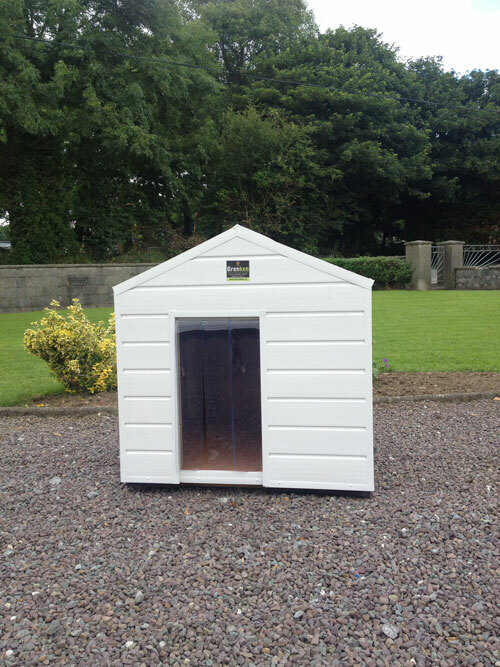 These Pvc Dog Kennels are unique to any other on the market as the external of the kennel is pvc cladding yet the kennels are WBP plylined internally for the most comfort & warmth for your pet during the winter months.Unlike conventional timber dog houses which have a much shorter lifespan, our unique pvc dog houses will last your pet much longer. They are fully weather resistant, maintenance free and are easily cleaned. Kennels are delivered fully assembled. 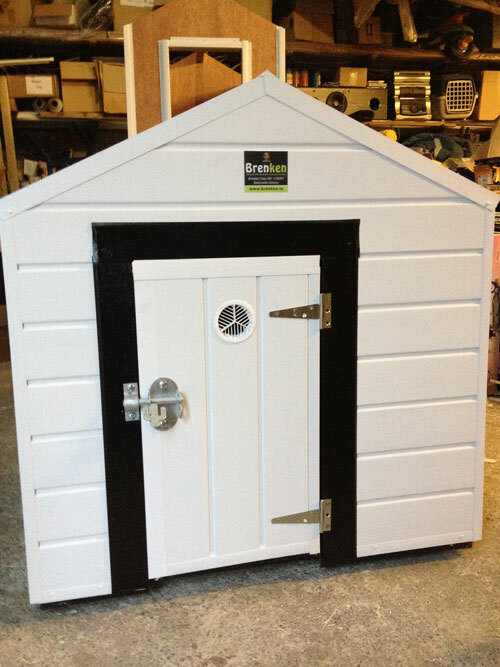 Black PVC Dog Kennel - 47inch x 42inch. These Pvc Dog Kennels are unique to any other on the market as the external of the kennel is pvc cladding yet the kennels are WBP plylined internally for the most comfort & warmth for your pet during the winter months.Unlike conventional timber dog houses which have a much shorter lifespan, our unique pvc dog houses will last your pet much longer. They are fully weather resistant, maintenance free and are easily cleaned. Kennels are delivered fully assembled.